Tips to Outclass Your Competition - Winning the Fight Between You, the Clock, and Monster Manners. Customer Service Techniques – Meeting going haywire? Try "Hold it" intervention. The Coach’s Corner – Do you have the People Pleasing Plague? Aril 7th, Maria Marsala will speak on "Creating a Business Vision Statement, the Second Key to Success." April 14th, Andrea Lee will share her experience on "Building an On-Line Business." April 21st, Larry Loebig will talk on "Guerilla Marketing" for small and medium-sized businesses. April 28th, Steve Davis will discuss "Creating a Successful E-zine." Your only cost is calling the long distance tele-conference number which is 646-519-5860, access code 1845#. These are interactive calls to gain knowledge and an opportunity to ask the experts how to market your business. Let me know if you would like additional information. Tips to Outclass Your Competition – Winning the Fight Between You, the Clock, and Monster Manners. Too much to do. Too little time. It's a universal problem. From the CEO to the newest hire. We're bombarded with information. E-mail, faxes, voice mail, overnight deliveries and old-fashioned snail mail. Unexpected phone calls, impromptu meetings, and emergencies that force us to drop everything. So many projects, tasks, problems, opportunities, and people are fighting for our time and attention that it's almost impossible to separate the important from the urgent from the unnecessary. Time is the one thing that limits us. The common lamentation is 'If only I had more time.' That's the wrong premise. The problem is we're using our valuable and precious time, in unproductive and non-rewarding ways. Busy... yes. Productive... NO!!! Think differently. Don't manage your time. LEVERAGE YOUR TIME. Block out time for yourself. Close the door. Turn off the phone. And give yourself an hour of uninterrupted time each day. Work on your most important work, tasks and projects. Only do the things that have value. Eliminate everything else. Use your Prime Time. There's a time of day when you do your best work. When you've the most energy and enthusiasm. Tackle your most important work at the time of day you're at your best. Set your goals. Leverage your time. And you'll become more successful than you ever dreamed. "Reprinted with permission from "Jeffrey Mayer's SucceedingInBusiness.com Newsletter. (Copyright, 2003, Jeffrey J. Mayer, SucceedingInBusiness.com.) To subscribe to Jeff's free newsletter, visit http://www.SucceedingInBusiness.com." Do you make time for professional development that includes updating your employees on the perils of Monster Manners? I hear it from professionals every day. "You won't believe what this salesman did today. He came into my office chewing gum with a ball cap on his head" or "This clod sat down and began shoveling food into his/her mouth before anyone else was served." Yes, these behaviors affect your sales and your reputation. Let your employees know that Monster Manners are out and Masterful Manners are in. Make an investment in Professional Development by bringing Outclass, Outservice and Outsell your Competition" into your workplace. To eliminate Monster Manners, develop Masterful Manners, increase sales, and protect your professional image, call 405-341-3216 today. Learn this basic strategy to interrupt and realign your groups. On that note, one of our dear readers, Phil Jones, recently shared a very simple intervention technique that he developed in his efforts to find the simplest and easiest way to teach people to intervene. He believes that his technique works in 80% of the typical intervention opportunities that arise in groups. He calls his approach the "Hold It" technique, which he developed while once viewing a meeting training video. He noticed that the most effective intervention he saw was a participant raised their hand and quietly said, "Hold it" to someone about to interrupt. That was enough to allow the speaker to finish, the group to realize the leader was managing the process, and the group to engage fully into the listening role. He then just applied the same simple technique to the most common behavioral problems in meetings. Here's a table Phil developed that addresses the most common issues requiring intervention in group process, and the associated "Hold it" intervention you can apply to each situation. Wandering Hold It Let's get back on track. Interrupting Hold It Let's give Judy a chance to finish. I want to understand what Judy is saying first. Dominating Hold It Let's hear from a few of the others. Floundering Hold It Let's refocus on what we want and the next best step from here. Rambling Hold It I am losing the point here, could you please summarize. Bogged down, circles Hold It Let's summarize--the goal, the views stated so far, and then the next best step. Side conversation Hold It Lets all focus on one thing at a time. Can you write your thoughts down and share them next? Withholding Hold It Let's hear from Bill. What do you think Bill? How do you feel Bill? Personal attacks Hold It Let's keep to the issue and stay away from personal attacks. Unsubstantiated opinion Hold It I want to understand John. Could you give us some of the reasoning behind that point? Let's keep facts and opinions separate here. Strong input from several participants Hold It This is an issue with strong views. Let's be rigorous in really listening and giving all a chance to state their point. Please write down your thoughts until it is your turn to speak. Source: Phil Jones at worksmart.net.nz. Do you have the People Pleasing Plague? Are you constantly serving others and neglecting yourself? People pleasing is hard and it drains you of your energy. Eventually, you become resentful of the very people you are trying to please because your schedule gets out of control. How can you gain confidence to stand up for yourself, and say "YES" when you mean yes, and "NO" when you mean no. What does it mean for me to say "NO?" What does it cost me to say "YES?" What will I say "NO" to today? Am I still a nice person if I say "NO?" How can you stand in your own power? If you want to be nice, and break out of the people pleasing habit, practice saying, "Thank you for asking. I'd love to help you out, but I just can't right now." Now practice SILENCE. You've said enough and do not need to apologize or make excuses. You can overcome this - one small "NO" at a time. Try this today and let me know how you feel afterwards. I love to hear your success stories. 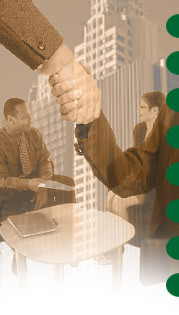 To experience breaking free from self-limiting constraints, call for your free no-obligation, collaborative interview. This 25-minute confidential session will give you the experience of coaching. To take advantage of my offer, call 405-341-3216 to schedule your collaborative interview. "Sometimes I get the feeling that the two biggest problems in America today are making ends meet and making meetings end." "If you want a friend…Get a dog! If you want a customer…Solve his problems." Ask the Expert - Theatre Manners.